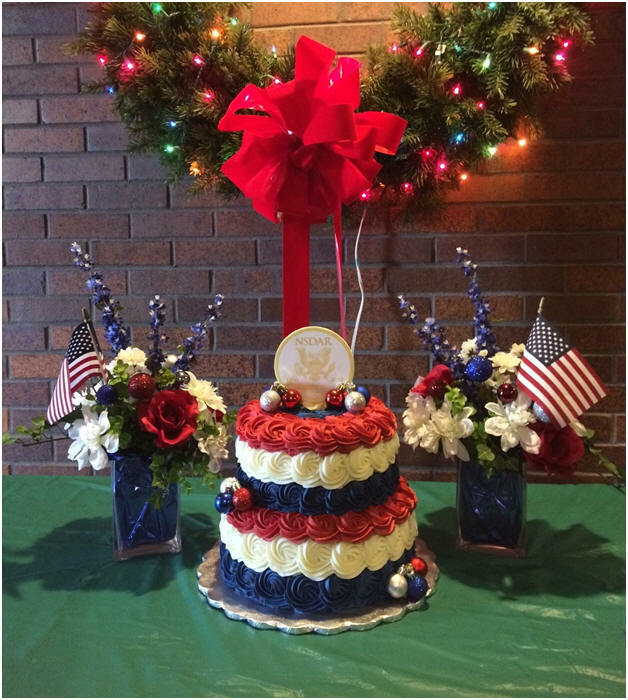 The Lansing Chapter of the Daughters of the American Revolution celebrates its 120th anniversary on December 3, 2016. Its membership numbers over 135 Daughters who are from the Lansing area, including Bath, Charlotte, DeWitt, Dimondale, Eagle, East Lansing, Eaton Rapids, Grand Ledge, Haslett, Holt, Mason, and Okemos, as well as outlying areas such as Breckenridge, Fowlerville, Franklin, Freeland, Harrison, Houghton Lake, Laingsburg, Lake Odessa, Leslie, Muskegon, Northville, Owosso, Pinckney, Portland, St. Johns, West Olive, Westphalia, and Williamston, and as far away as Arizona, California, Florida, Indiana, Maryland, North Carolina, South Carolina, Texas, Washington DC, and Wisconsin. No matter where you live, the Lansing Chapter invites you to explore your heritage and become a member of the Daughters of the American Revolution. The Lansing Chapter supports the mission of the National Society Daughters of the American Revolution (NSDAR) and the Daughters of the American Revolution of Michigan (DAR-MI) which is historic preservation, patriotism, and education. We strive to involve ourselves in community activities that honor America’s veterans. Happy 120th Birthday, Lansing Chapter! !